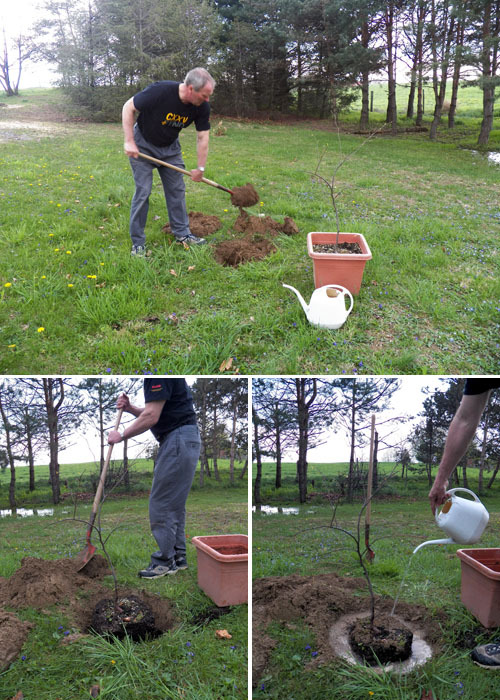 On Easter my Dad helped me plant a tree for the Figs & Ginger Earthday Giveaway. We planted a little Red Bud for my grandma in her side yard. 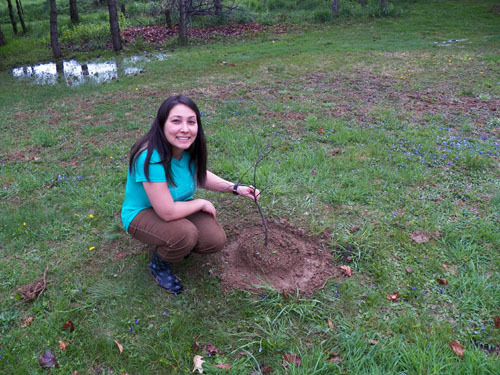 It's the same tree I planted in my yard last year and I hope it gets lots of little pink flowers on too. I only knew them as Red Bud but my Grandma calls it a Judas Tree - interesting how they got that name. 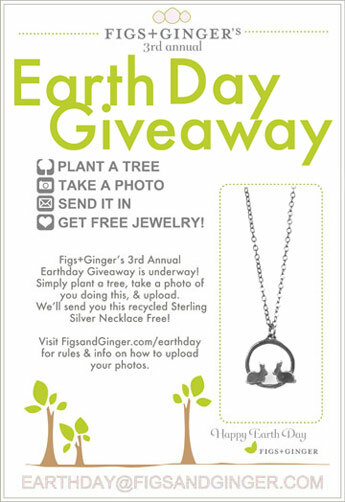 I love Figs & Ginger jewelry and I love that they do this for Earth Day. This year they are offering either the love bunny necklace or a $15 gift certificate. I got the necklace last year so I'm trying to decide what to get with my gift certificate! An equally-great poster for a great advocacy. Truly, when you market this idea and in turn, encourage people to plant trees, you can make a change however minuscule.